The electrically-positionable lamella bed grid with the highest weight bearing capacity, up to 130 kg.Hight quality and top-class materials quarantee that this product functions reliably for many years. The frame of the grid is made of layered beech wood (ensuring greater stability). The lamellas are made from Siberian birch. The motor in the EVO mobile model does not encroach in to storage space. Electrically positionable, 2-head, 2-foot. 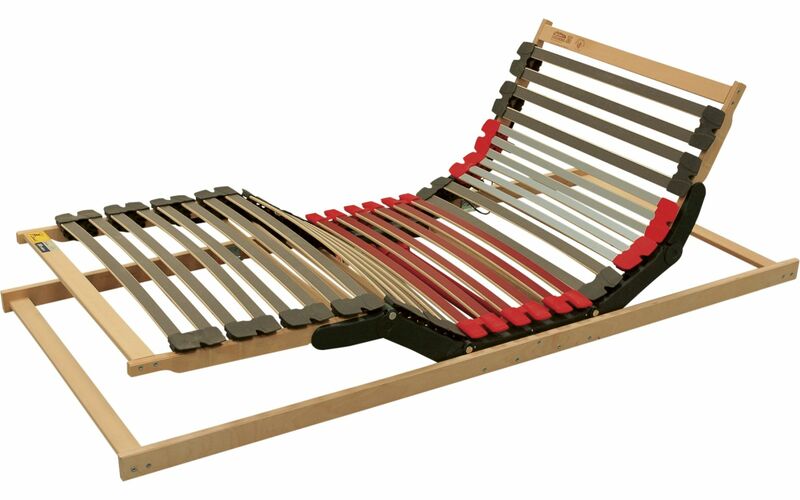 This grid, with its electric drive, is good choice if you want to really enjoy comfortable laying. It can aslo be ordered with wireless operation, for a surcharge, and with synchronisation cable, which will allow you to position the whole bed, and a mattress for couples, simultaneously using a single controller.